The number of corruption complaints related to "referral fees" and "tea money" in the construction industry more than doubled over three years, the Independent Commission Against Corruption has revealed. 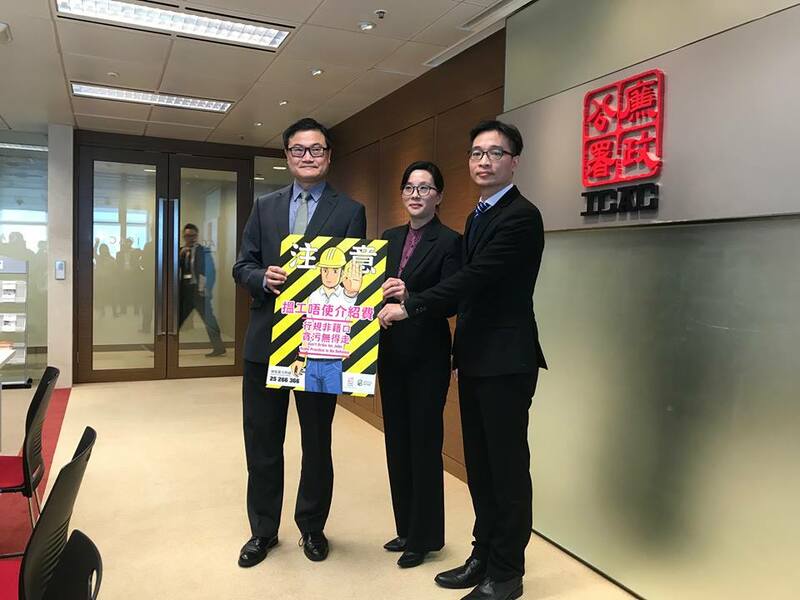 In one case, two site supervisors received more than HK$160,000 in "referral fees" from nine workers within 12 months. The corruption watchdog warned that getting fees without the company's approval is illegal. The ICAC analyzed complaints about the recruitment of construction workers and fees, and found that the number of cases had increased from 12 in 2016 to 31 last year. The number of convictions also rose from one to seven people. In many cases, site supervisors or senior workers asked job seekers to pay referral fees or "tea money," and told them that those who refused would not be employed. While the victims were mostly grassroots, new immigrants, ethnic minorities and newcomers to the industry, many believe it is the usual practice. In one case, nine scaffolding workers who received a daily salary of HK$1,100 forked out HK$150 to HK$250 each working day to pay two supervisors between February 2015 and February 2016. The supervisors received HK$164,375 without getting approval from the company. In another case, a worker was told to help his company recruit senior bar benders for a public housing project in Sha Tin and a private housing development in Deep Water Bay. The worker, however, employed three people who failed to adhere to the job requirements and told them to return part of their salary due to their insufficient experience. He received more than HK$180,000 from them between August 1, 2014, and October 31, 2015. He also hid the fact that the new employees were not qualified, and deceived the company into paying an extra salary of HK$176,000. The worker pleaded guilty and was jailed for 13 months.